Zodiac bracelets with mala beads connect you to your inner animal spirit or element with an astrological gemstone bracelet. Our gemstone bracelets are adjustable and natural and can provide wisdom, prosperity and healing to the wearer. You can even stack many together for additional accessorizing. 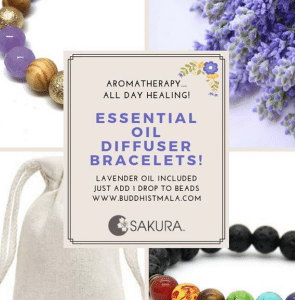 The products are designed and created carefully in the USA by Sakura Designs who specialize in designing and crafting these mala bracelets, at a very reasonable price! The Libra Mala bead bracelet is has a unique and beautiful design that looks good on anyone and has a variety of rainbow colors streaming out. The Mala Bracelet contains 8mm prayer beads, that has 20 main heads, additionally a 10mm focal bead and spacers. All the gemstones are natural and original and crystals, well made. We have crystal and metal prayer beads that are designed to inspire by precious and semiprecious birthstones, there are also different color schemes for each sign, inspired precious and semi precious stones for each zodiac. The Mala beads are well made with with nylon and have an adjustable slipknot to suit different people and so that you have the right size that fits perfectly and comfortably. 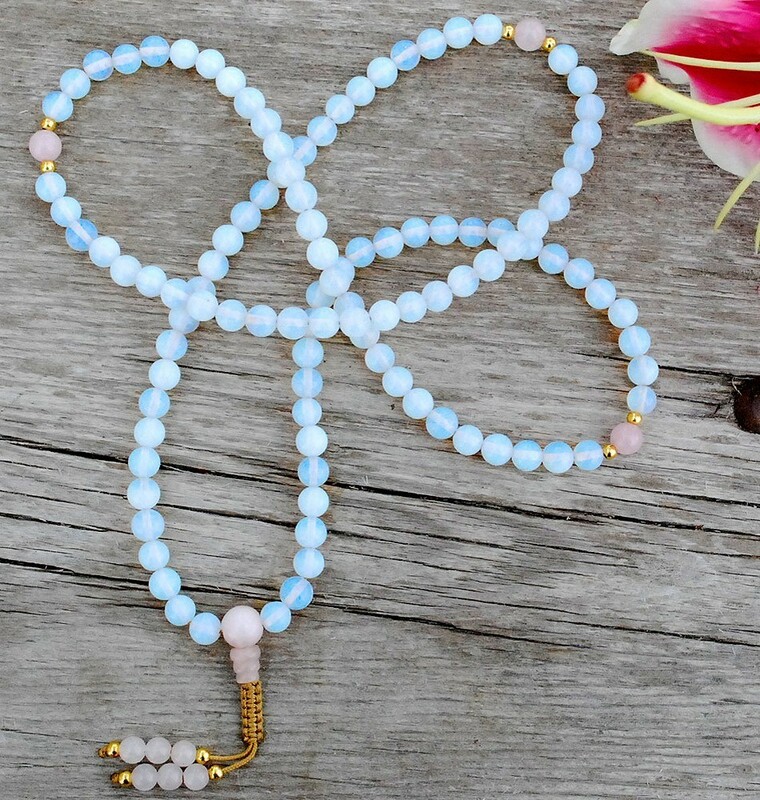 The birthstone mala bracelet also has a very special and potent stone named Opalite that features many positive and uplifting effects. The birthstone for October is October and we offer Opalite, an opal- like silicate. The birthstone Mala Bracelet holds a gentle and calming stone that can act as a calming presence to make a person feel more bright and whole. Opalite (also known as opals) are great for when you’re mediating or if you want to improve mediation practices. It can also enhance own psychic abilities which can lead to higher communication levels that are spiritually enhancing overall. Furthermore opals bring hope to people in life and provides virtues of innocence and purity. Opals also stimulate healing processes and increase friendships with people that brings healthy emotions. Along with the Opalite stone, there is a Quartz crystal that aids in focusing energy to achieve objectives and goals and zoom in on the potency of other amazing stones. The crystal enables people to experience clarity spiritually and generally. It is also very powerful to use during mediations were practicing a “mantra”. Opal is the astrological stone for October and has many healing properties, this includes the ability to love oneself and increase self-confidence, self-esteem and purpose, the ability to accept love from others. Another healing property from the stone is that it makes us see our positive qualities rather than the negative, so helps with self esteem. The stone also represents mothers lover, a form of protection to the person wearing. It protects them and makes them feel safe and secure within their selves and around other people. 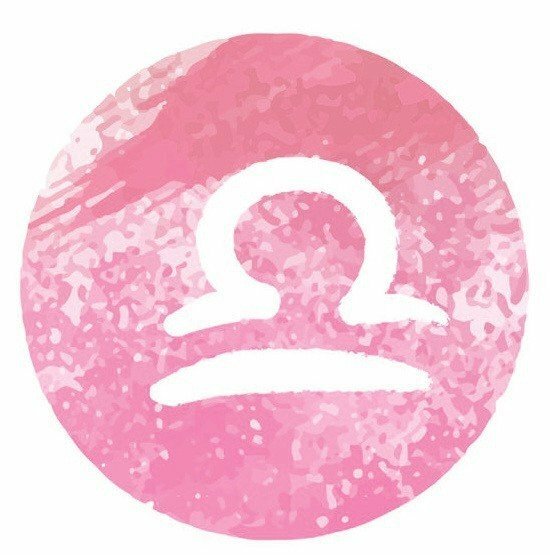 If you’re Libra, the main element is air, similarly to signs like Gemini and Aquarius. It dismisses the Third, Seventh and Eleventh Houses. The air is rarefied which generally surrounds those who are graced and uplifted by this element, with it also being the marker of intelligence and an intellect. Those who are airy are bright in their thinking and can reason abstractly well.